Katara delivers QuickBooks training and support across the UK. For more than a decade, Katara has been sharing the very latest QuickBooks knowledge through training and support for businesses keen to save time and money. 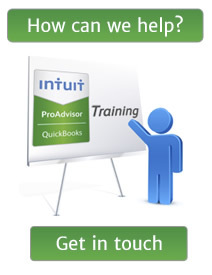 Katara QuickBooks training can be delivered ‘in house’ or via organised courses across the UK. Whether you are new to QuickBooks or an experienced QuickBooks user, Katara can tailor training to your specific needs. Katara customers learn what they need to know quickly and efficiently keeping cost to a minimum. Katara understands every business is different and specialises in helping clients create the right QuickBooks accounting processes to meet their needs. From CIS records and charity reporting through to cleaning up historic data and mistakes, Katara has the experience and knowledge to help businesses of all sizes get the most out of their QuickBooks accounting software investment. Accountancy can often be overcomplicated with the overuse of jargon. Katara QuickBooks training is delivered by consultants with a financial background who possess good communication skills and approachable manner. Katara QuickBooks trainers are clear, concise and capable of training at all business levels, they are also able to adapt to different learning styles. Katara QuickBooks training supports users of QuickBooks Desktop Versions (QuickBooks Pro, Premier, Regular and QuickBooks Enterprise) including QuickBooks Payroll and Barclays Clearly Business. Katara also supports users of QuickBooks Online Versions (QuickBooks Online Essentials and QuickBooks Online Plus). Consultants, contractors, charities, retailers, importers and not for profit organizations all have one thing on common, as Katara clients they are keen to save time and money on accounting charges. From setting up your initial QuickBooks file and building your accounting processes through to problem solving, Katara provides a flexible approach to training, to get the most from your QuickBooks accounting software.